Saints Row Drive By promises to be more than just a simple spin off of Saints Row 3. We don’t know many of the details yet, but the team has confirmed that it will not be a mini-game like with the Fable Pub Games or a prequel teaser like Case Zero. 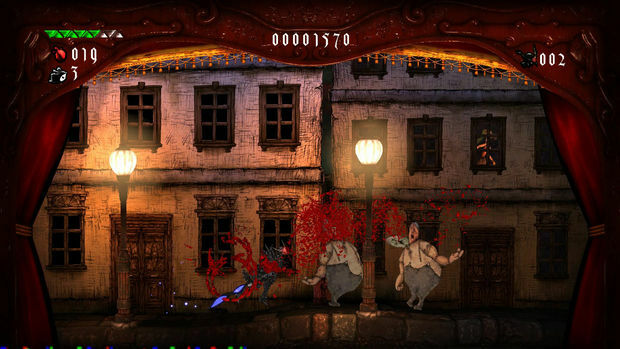 Section 8: Prejudice is the XBLA follow up to Section 8. While the price may have been slashed to $15, this digital release packs a huge punch with complete single player campaign, online multiplayer and swarm mode (a hybrid FPS-Tower defense mode). Check out our full preview of the game here. Sega Bass Fishing is a remake of a classic from the dream cast era. Players catch fish. It’s a fairly simple concept, but it highlighted the Dreamcast’s graphical ability and went on to sell extremely well. Seisou Kouki Strania is an upcoming schump from G. Rev where players control a giant mech equipped with a sword. Enemies come at players from all directions on both the 2D and 3D plane. Players will use their three main weapons as they attempt to dodge millions of lasers as they seek to set a new high score. Sine Mora is the first XBLA game from acclaimed developer Suda 51 known for his work on the No More Heroes Series and Killer 7. So far he’s been very mum on the details, but we do know the game will mix traditional side-scrolling gameplay with unique time manipulation mechanic. Skulls of the Shogun is a turn based strategy title. Players take on the role of a Samurai General who was betrayed by one of his closest allies and slain in the moment of his greatest victory. Awakened in the afterlife, he finds the same opponent has betrayed him again in death. As a result, he begins a rampage trashing the laws of the Samurai afterlife as he seeks revenge. It has clear roots to Advance Wars, but the team seeks to redefine an entire genre. Space Channel 5.2 is an HD remake of a classic Dreamcast game and places players in the shoes of Ulala, a space reporter as they face off against the Rhythm Rouges: a gang that kidnaps innocent victims forcing them to dance. To save them players most out groove their opponents in the form of a dance off. Spare Parts is a co-operative action adventure game featuring robots in search of upgradeable action parts granting them new abilities as they seek out necessary ship parts to repair their ship. With voice acting by the likes of Simon Pegg, it is sure to over a unique form of humor. 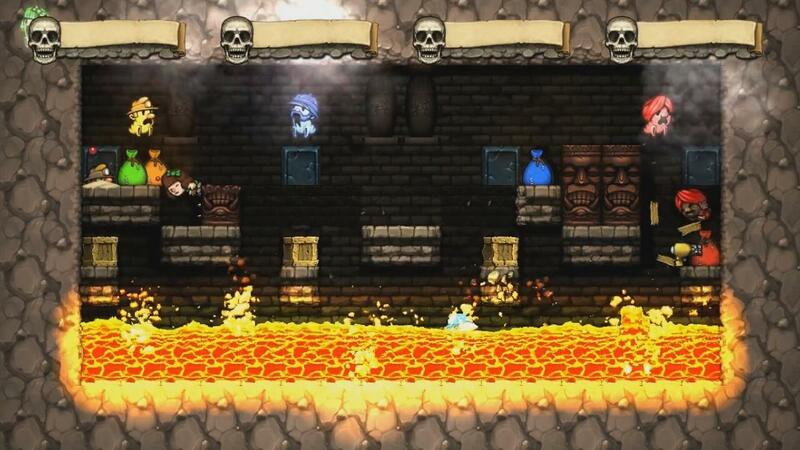 Spelunky might look like your typical loot-grabbing cave adventure game. But beyond the beautifully painted exterior is an equally wonderfully crafted game. Players will use their reflexes and wits to battle through a unique randomly generated level design that never repeats. Stacking takes place during the 1930s and lets you play as Charlie Blackmore, the world’s smallest Russian stacking doll (or matryoshkas). Essentially a third-person adventure puzzle game, Blackmore solves puzzles by hopping in and out of other stacking dolls, assuming their identities and powers. Swarm looks to be a modern envisioning of lemmings. Players take control of 50 swarmites pushing them through the gauntlet: an enjoyable, but oft suicidal romp through a dangerous world in search of DNA. Hothead Games infuses their unique brand of humor along with gameplay that players haven’t seen before.